One of the common issues with Windows 8 is that app notifications keep appearing after you have seen them. You may restart your PC and see the same notifications you did when you logged off. 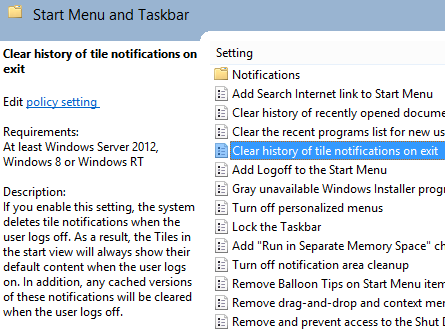 While Windows 8 should be clearing these notifications once you acknowledge them, it doesn’t always happen. 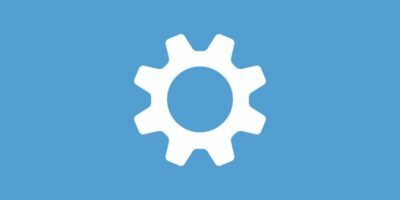 Using the Local Group Policy Editor, you can clear app notifications when you log off your computer. 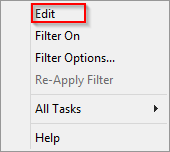 In order to clear app notifications at log off, click the “Windows Key + R” to open the Run menu and type “gpedit.msc” to open the Local Group Policy Editor. 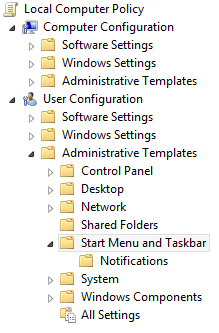 On the left panel, go to “User Configuration -> Administrative Templates -> Start Menu and Taskbar”. 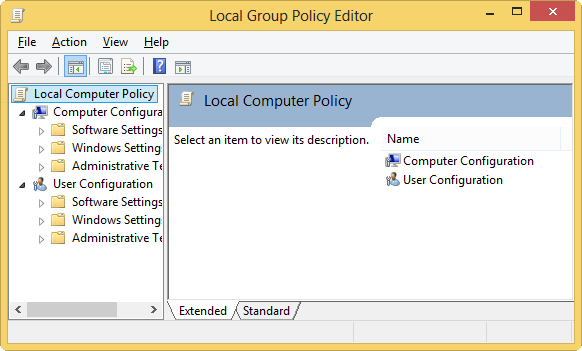 The Local Group Policy for this entry will be displayed for you to learn a little bit more about it. You’ll be told what enabling this setting does in Windows 8 so that you know what you’re doing if you’re still uncomfortable with making these types of changes to your computer. 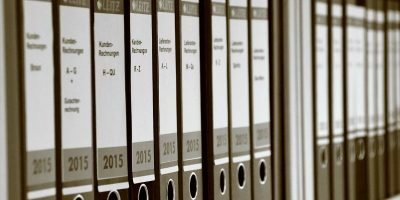 The entry is now Enabled in the Local Group Policy Editor. 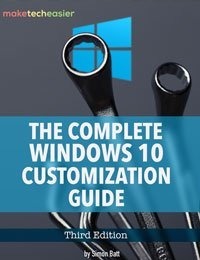 A Command Prompt window will pop up letting you know Windows 8 is forcing the update to your entire PC. It may take a few moments for this to finish depending on the number of accounts on the PC. 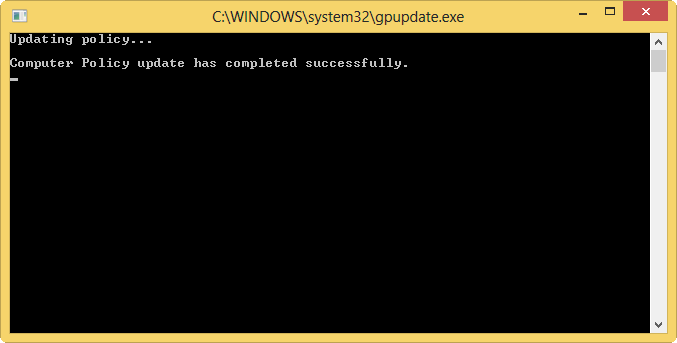 When finished, the Command Prompt will let you know. Whenever an account logs off Windows 8, its app notifications will now be cleared. 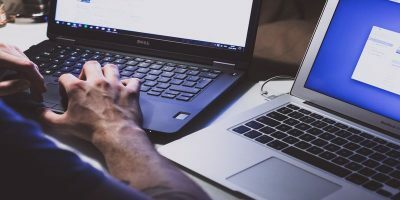 This ensures that between sessions, you won’t have to worry about the same notifications appearing, but it doesn’t end the bigger issue with them in Windows 8. 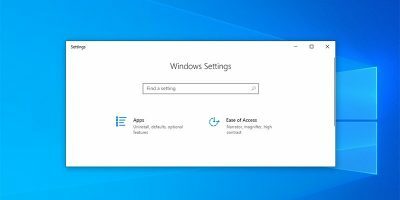 Until Microsoft addresses the underlying issue, users will have to deal with the same notifications appearing in apps during a session. 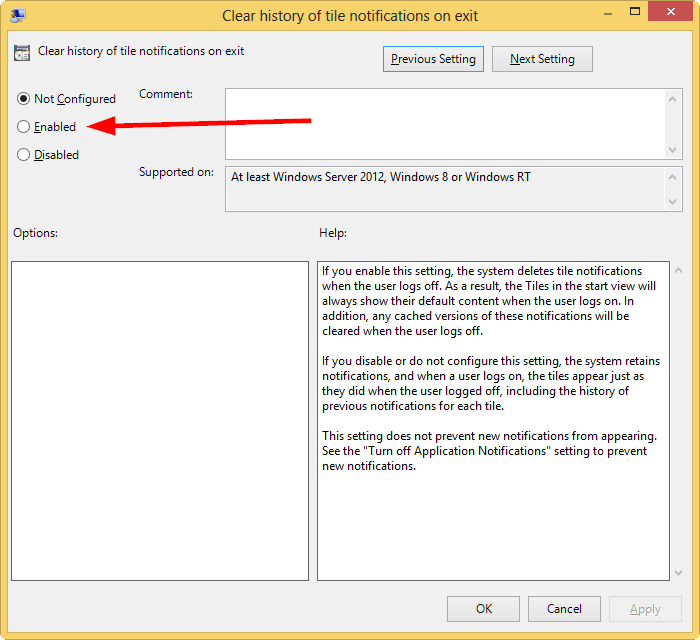 The above steps will just clear your app notifications when you log off Windows 8. It won’t solve issues that appear while you’re logged in. 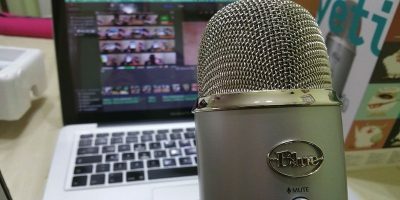 Apps that utilize background services can cause notification issues. This can cause an infinite loop of notifications in Windows 8. Make sure you check your notification settings in each app. Many allow you to turn the background notification on or off. If you’re experiencing an issue with notifications, turning off background services can be a quick fix to this issue. 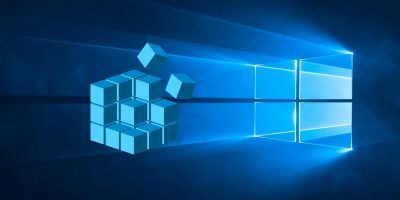 The Local Group Policy Editor is an amazing tool that most Windows users ignore until they need to utilize it in a situation like this. 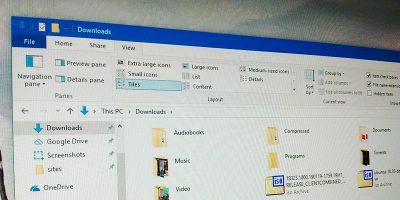 Taking advantage of what it has to offer can customize Windows 8 in ways you never thought possible and clear up issues like app notifications. Why is this categorized under Linux? Oops…it was placed in the wrong category. Thanks for notifying us.